Crunch is the sound you hear when you bite into piping hot fried chicken. Crunch is the sound you hear when snacking on popcorn at the movie theater or a bag of potato chips on your couch. Crunch is a crisp apple freshly picked from a tree, granola on top of your yogurt, or crunchy candied nuts. 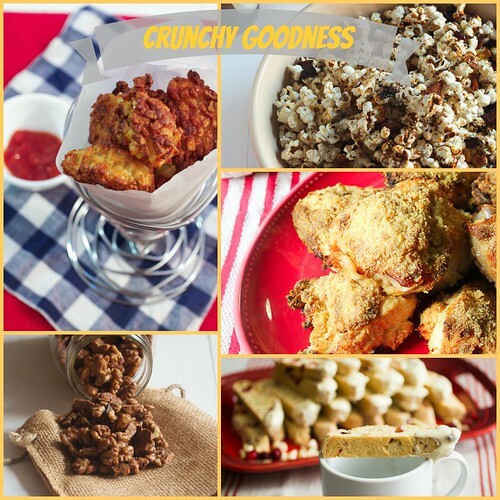 Crunchy = Goodness and also the theme of #SundaySupper this week. Appetizers, snacks, entrees, or desserts, it’s hard to resist an item that comes with a tantalizing crunch. 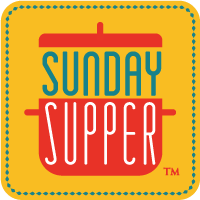 Let’s take a look at all the crunchy goodness coming our way on Sunday. Thank you for hosting! It’s such a creative theme this week. I’ve been known to add potato chips or Cheetos to a sandwich just for extra crunch, which makes everything better. Can’t wait for Sunday!